The wall mount adapter has a univeral input voltage 90 - 264VAC and frequency range 47 - 64 Hz, the output current max 2000Ma, the safety certificates is UL CUL FCC CE GS CCC PSE and EMC, the adapter was sold to over 50 countries in the world with high quality and more reliable. 2. We have international quality standard much as ISO9001 and ISO 14001 to guarantee each adapter good quality. 3. 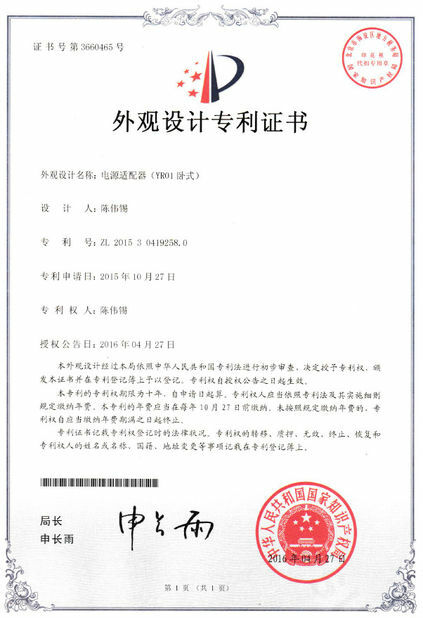 This adapter has pass UL CE GS PSE EMC KA CCC SAA safety approvals and the quality is very good, also the efficiency can meet energy star requirements. 4. 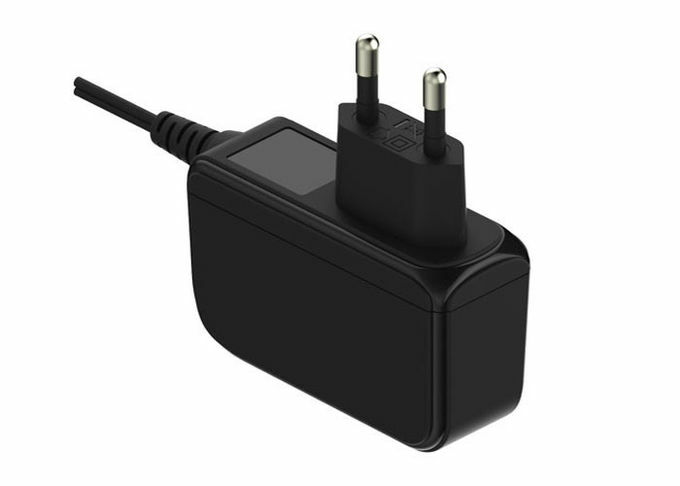 We have more than 15 years experience in this field and we are dedicated to the development and production of the power adapter. Our R/D team has 10-20 experience and we have professional management in QC, purchasing and production. 5. 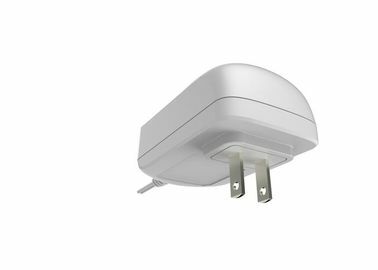 We are a adapter manufacturer and we have own product ,but we also offer OEM and ODM to customers who are from the worldwide. 6. Our monthly production capacity is 50,000 pcs adapters and we have 10 production lines,that casue our lead time is lesss than 15 days after received the formal purchasing order. 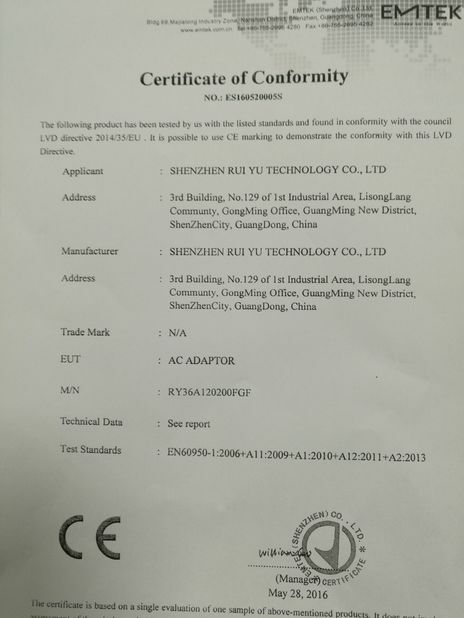 7. we have more than 30 QC / QA staff to make sure all adapters have passed each testing before packing and shipping. 8. We have some contracted forwarder to provide very good shipping cost and fast shipping time to all customers.